Gre­co-Mesopotami­an con­stel­la­tion fig­ures bear Latin names. Their bright­est stars are des­ig­nat­ed with let­ters of the Greek alpha­bet, yet most of them bear prop­er names that derive from Ara­bic. Even so, many of these star names are Ara­bic descrip­tions of Greek con­stel­la­tion fig­ures, not Ara­bi­an ones. Learn more about the Ara­bi­an star and con­stel­la­tion names, like, for instance, ath-Thu­raya (aka the Pleiades) and her Hands (one ampu­tat­ed, one hen­na-dyed), Alde­baran (the Fol­low­er), al-Jawza’ and the Shi’ra sis­ters, and more. It’s fas­ci­nat­ing, and at least part of the rea­son I’m post­ing this is to book­mark the arti­cle for lat­er re-read­ing. I think it might be a use­ful thing for a sci­ence-fic­tion writer to know about. 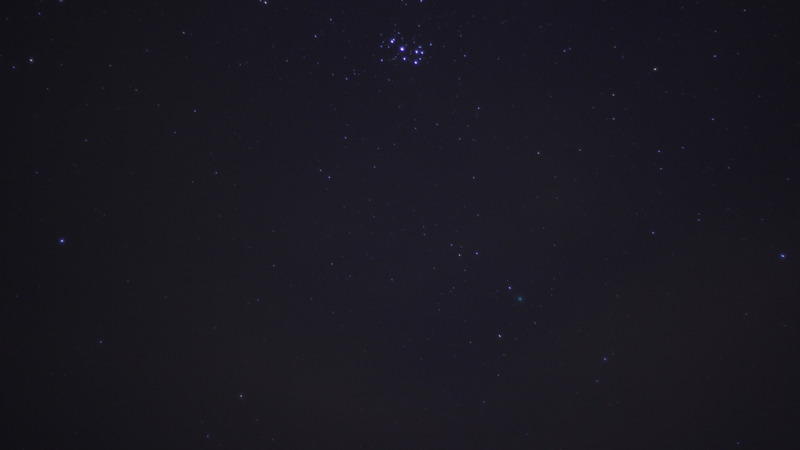 Head­er image: Pleiades (or I guess ath-Thu­raya), tak­en by me in 2015. Posted in Photos, Writing. Tagged arabic names, astronomy, constellations.